Rouzan is home to an enviable selection of amenities that embody the spirit of the community and make it a truly unique place to call home. 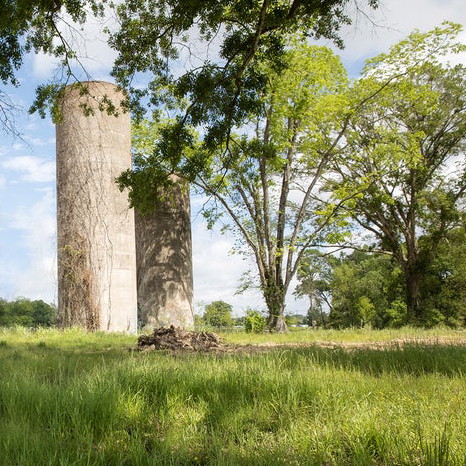 The centerpiece of Rouzan, the Silo Farms will be a fully functioning farm designed with a full complement of programming and events for all ages. Originally proposed in 2008, Rouzan has proposed a newly designed neighborhood-scale library with community meeting rooms and outdoor classrooms. Featuring beautiful architecture and landscaping, the Rouzan Clubhouse in a class by itself — a space as functional as it is fun. Includes a full-size pool, splash pad, cabanas and lounge chairs. Designed by Jenni Peters of Varsity Sports, the Outdoor Fitness Trail will integrate state-of-the-art fitness equipment into Rouzan's extensive pedestrian and bicycle network. Located in the heart of Rouzan, this Level III Childcare Center will offer full-time child care services and educational programs for children ranging in age from 6 weeks to 5 years old. Located adjacent to the Rouzan Clubhouse, the Children's Playground will feature handcrafted equipment designed to offer a safe environment for play. Rouzan will serve as a critical connection between the bicycle paths between the Baton Rouge Health District and the University Lakes. Rouzan will be a community filled with green spaces and living areas meant to foster a sense of connectedness to nature and encourage time spent outdoors. Sprouts is a nationally-recognized grocery concept that emphasizes local, organic produce and wellness-centered products at affordable prices.